Governor Rochas Okorocha has urged Igbo leaders to avoid what he called indiscriminate adoption of candidates ahead of the 2019 general elections without considering its implication. Okorocha, who spoke on the background of the reported endorsement of People’s Democratic Party (PDP) candidate Atiku Abubakar by a section of Igbo leaders, warned that such action could be costly. He claimed that President Buhari will still win the election. Okorocha’s stance came as more Nigerians expressed mixed reaction on the Igbo leaders’ endorsement of Atiku. Onwuemeodo quoted the governor as saying: “My advice is that Igbo leaders should toe the path of wisdom and should not come again adopting a candidate. Mine is an advice that the Igbos should be careful not to play the same type of very bad politics we played in the past, which most of the times, kept us in political wilderness. “As a people, we must be wise now and never foreclose the possibility of any presidential candidate becoming the President tomorrow. Okorocha asked the Independent National Electoral Commission (INEC) to verify the court order brought by Chief Hope Uzodinma for which he was listed as the Imo State APC governorship candidate. He said the verification became necessary “to find out the authenticity or otherwise of the court order”, insisting that the court order in question might have been forged. 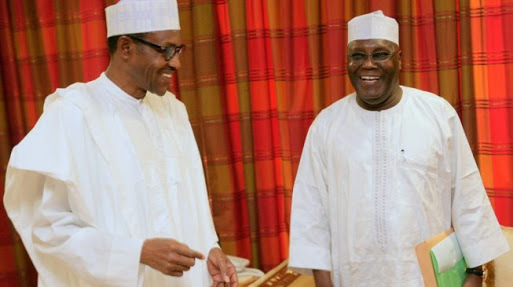 Also yesterday, Voice of Nigeria (VON) Director-General Osita Okechukwu frowned at the endorsement of Atiku and Peter Obi joint ticket by some eminent Igbo leaders. Okechukwu said no matter the level of endorsement, Buhari stands a better chance in the forthcoming 2019 presidential election. The VON boss, who is also an APC chieftain, described the development as “not the most viable option”. But the Lagos State chapter Chairman of the Committee for the Defence of Human Rights (CDHR), Roy Olokungboye, said as far as he was concerned, “it is a free world and every Nigerian is free to support any candidate of their choice”.